One of the signs that spring has finally arrived is the Masters Golf Tournament. While I am not a golfer, there is something that I find utterly compelling about this event. Maybe it is the azaleas or the meticulously manicured grass. Maybe it is the multiple day test of endurance and the multitude of changes in the leaderboard. To celebrate the arrival of spring and the Masters, I present Wikipedia Golf: A critical thinking activity where you look for ways that Wikipedia entries are connected. Hello and welcome to the inaugural issue of Inside Brian’s Brain! Thank you for your interest in my work and for joining me on this journey. When I started the TED Talks 30 Day Challenge, I was seeking a solution to the problem I was having of not getting enough intellectual stimulation from high quality professional learning experiences. I really wanted to broaden my horizons by stepping outside of the types of sessions that I typically have access to. Early on in the journey, I unknowingly shifted the focus from one that was personal to one that was more for the readers of this blog. As I entered the final stretch, I once again came to the realization that the learning was for me and that any readers that I might have were really secondary to my experience. Wow! We are now about 2/3 of the way there! This was a week filled with travel to Arizona, but I managed to keep my routine of a TED a Day going strong. Rather than trying to tie what was a pretty random collection of TED Talks, I will provide a brief take away thought from each of this week’s selections and present my selections for next week. 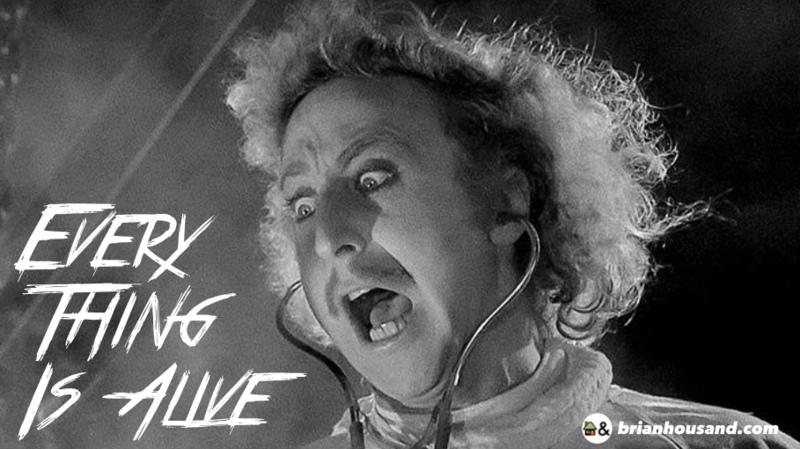 I recently become enamored with the podcast Everything is Alive hosted by Ian Chillag and is a series of interviews with inanimate objects. As I thought more and more about what I love about this podcast, I slowly realized that anthropomorphism and personification are everywhere and can make for some excellent creative products. The first five days of the TED Talks 30 Day Challenge are DONE! In today’s post, I will cover what I have learned so far and announce the next 7 talks on my list. Thanks to everyone who made a suggestion for a MUST SEE TED Talk. Special thanks to Susan Solomon, Magdalena Fitzsimmons, Jane Gorman, Kimberly Moore Jackson, Alicia Richwine, Ben Lacina, Christie Tate Ray, Linda Zillig, Joanne Sackett, Ruth Lyons, Sylvan Taylor, and Krissy Venosdale whose recommendations made the list for this week. I will be going back through the list to pull more next week, but I would love even more recommendations. In an effort to have more fuel for my thinking, part of my 2019 goals have been to make better use of the services that my public library has to offer. I have really been enjoying browsing the stacks and also reading more books through the Libby App which offers ebooks, audiobooks, and magazines. I just finished reading Austin Kleon’s Show Your Work! And I am kind of obsessed with his style and way of thinking. I only wish that I had read this book 5 years ago. Here are 3 BIG IDEAS that I gleaned from this must read and why I think you should share this with gifted kids. 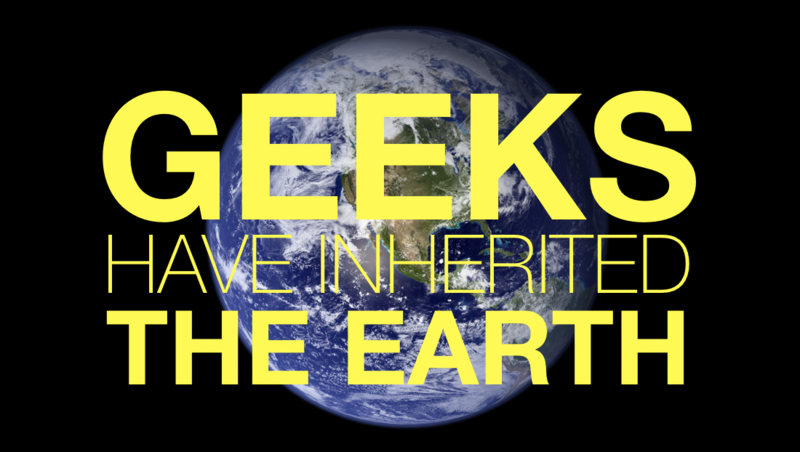 Geeks Have Inherited The Earth! Hello, my name is Brian. I am a GEEK. This is the way that I have been introducing myself at conferences and workshops for a while now. Although growing up in the 1980s, the term was meant to be derogatory and was hardly something to be proud of. Yet today, many boldly wave their Geek Flag high. Things have certainly changed since the days of Revenge of the Nerds, but have you ever wondered about the terms like GEEK and NERD and what they really mean?